· Activated less than 30 days. 1、What is the Osmo Shield? 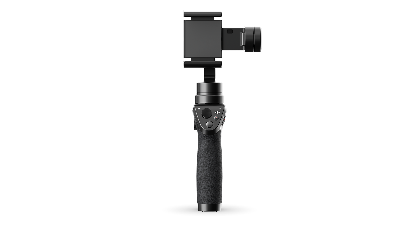 The Osmo Shield is a service plan that provides you with peace of mind, covering damage to your DJI Osmo. If you have purchased the Osmo Shield, this service will extend your Osmo’s warranty period by one year. If an issue occurs within two years of purchase, one-time only Accidental Hardware Damage Coverage included with your purchase of the Osmo Shield will cover repairs. 2、How many repairs are covered by Osmo Shield? During the Osmo Shield period, you can enjoy unlimited maintenance within the eligible conditions for our DJI Warranty Service. One-time only Accidental Hardware Damage Coverage is also included within the two years of this service. 3、How long is the Osmo Shield valid for? The Osmo Shield service plan is valid for 12 months after the regular warranty expires. One-time only Accidental Hardware Damage Coverage is included for 24 months after purchase. When purchased with a brand new Osmo, the Osmo Shield will be valid two days after shipment. When bought separately, the Osmo Shield is valid immediately after purchase. 4、What are the requirements of coverage for the Osmo? 2.Activated less than 30 days. 5、Can I renew my Osmo Shield service plan when it expires? No. Each product is only eligible for only one Osmo Shield service plan. 6、Is the Osmo Shield service plan bound to the original Osmo owner who purchased the plan? No. The Osmo owner can be changed but the S/N of the Osmo bound to the service agreement cannot. 7、How do I get repairs if my Osmo is damaged after purchasing the Osmo Shield plan? Please contact DJI Support. Technical support will record damage information and provide instructions on sending your Osmo for repair. 8、I have lost my electronic service agreement so I do not know the Agreement No. How do I get repairs? Contact DJI Support. Provide your Osmo S/N, which will be used to verify that your Osmo is protected with the Osmo Shield. If damage is within service coverage, repairs will be deducted from the coverage value. 9、Where can I find the handle S/N and gimbal camera S/N? 10、How long do repairs take? We will process your product as soon as possible. Repair times depend on the damage. 11、The Osmo I purchased was replaced and the original S/N has changed. Will my Osmo Shield plan become invalid? If you request to replace a product after purchase, inform presales or aftersales staff that you have purchased the Osmo Shield. DJI technical support will instruct you on how to rebind it. 12、Will the Osmo Shield plan be re-calculated after my Osmo S/N is changed? No. The warranty period in the service agreement shall prevail. 13、Does the Osmo Shield support international coverage (e.g. I purchased Osmo Shield in the US but want to repair my product in the EU)? No. At the moment, the Osmo Shield does not support international coverage. You should send your Osmo back to the official repair center in the corresponding area. Osmo Shield is created to give you peace of mind by SZ DJI Technology Co., Ltd. and/or its designated affiliated companies (hereinafter "we" or "DJI"). 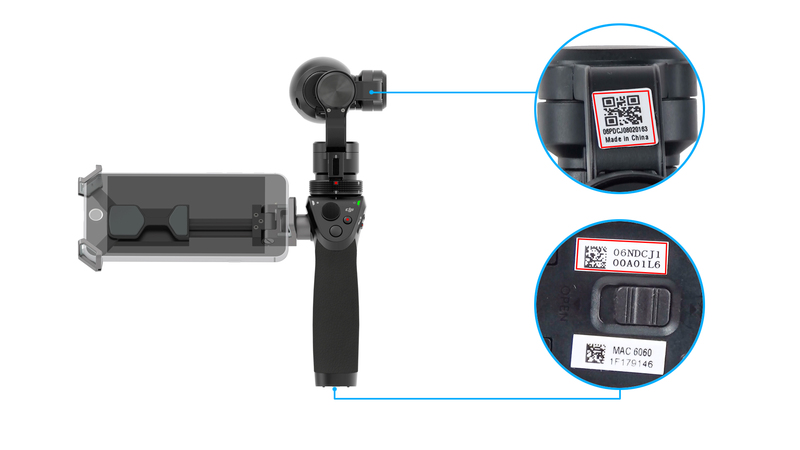 Osmo Shield includes a one-year extended warranty (hereinafter "Extended Warranty") and a one-time accidental damage coverage (hereinafter " Accidental Damage Coverage ").Subject to this policy, the Osmo Shield provides you with a one-year extension on your warranty repair service for your DJI Osmo handle, gimbal and/or camera (collectively the “Osmo”) upon the expiration of their respective original warranty. The Osmo Shield also provides you with one-time only Accidental Hardware Damage Coverage valid throughout the two year period of your Osmo Shield. 1) The Extended Warranty provides you with an additional 12 months of warranty repair services for your Osmo. Please refer to the original warranty policy at http://www.dji.com/service/policy. 2) If your Osmo suffers performance failures due to product quality problems during normal use and is sent to DJI within the validity period for repairs, repair fees will be covered by the OSMO Shield. 1) Damage not resulting from quality issues. 2) Damage caused by abnormal use. 3) Damage caused by unauthorized actions, such as modification or dismantling. 4)	Damage caused by installation, usage, and operation not in accordance to manual recommendations. 5)	Damage to accessories caused by unauthorized repair carried out by the user. 6)	Damage resulting from unauthorized circuit restructuring, or incompatibility of batteries and charger. 7)	Damage resulting from the use of third party accessories, batteries or software. 8) Damage resulting from using under charged or defective battery. 9) Stolen, forgotten, lost, or abandoned Osmo and accessories. 10) Repair fees for batteries, chargers, device holder or other accessories. 11) Abrasions and damage that do not affect the performance of the product. 12) Direct or indirect losses caused by force majeure. 13) Repair requests for damage incurred outside the period of validity. 14) Indirect loss and/or anticipated profit in any form. 15) Extra fees resulting from technical enhancements or performance improvements. 16) Personal injury and/or property loss to the customer or any other people caused by the Osmo. 17) Any legal fees relating to Osmo. 18) Any repair fees resulting from or following water damage. 1.Accidental Hardware Damage Coverage can be used ONLY once. If you claim for the Accidental Damage Coverage to deduct the repair fees, DJI shall be considered to have fully executed its DJI Accidental Damage Coverage service and that the Accidental Hardware Damage Coverage shall be terminated thence. 2.DJI will charge repair fees for damage not covered in the Accidental Damage Coverage. 13) Damage caused by reliability and compatibility issues resulting from the use of 3rd party accessories, batteries, and software. Extended Warranty is valid for 12 months and the period of validity begins upon the original warranty expires. The Accidental Damage Coverage is valid for 24 months and the period of validity begins at the purchase date of the Osmo Shield. 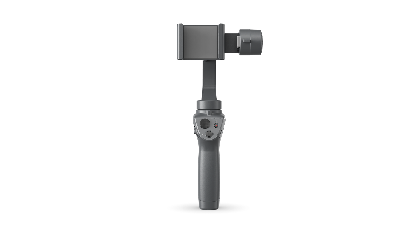 If you purchase an Osmo with Osmo Shield on the DJI official website, the Accidental Damage Coverage shall be effect on the third date after the Osmo is shipped. If you buy Osmo Shield separately on the official DJI website or via other channels, the Accidental Damage Coverage shall be effect from the date of purchase. 1) Please contact DJI Support once you need Osmo Shield. 2) Send your Osmo to a DJI designated repair center under the instruction of DJI technical support staff. 3) Always contact DJI first to fill a report for higher quality support. Once your Osmo Shield is in force, DJI offers free repair service to you subject to this policy. 1) Osmo Shield can be cancelled upon return of the product purchased, according to DJI refund and return policies. 2) Osmo Shield cannot be cancelled without returning the Osmo purchased. 3) Osmo Shield cannot be cancelled once been claimed. 4)	Osmo Shield cannot be transferred. Osmo Mobile does not have camera. Therefore, Osmo Shield for Osmo Mobile covers the handle, button, gimbal and mobile device holder.